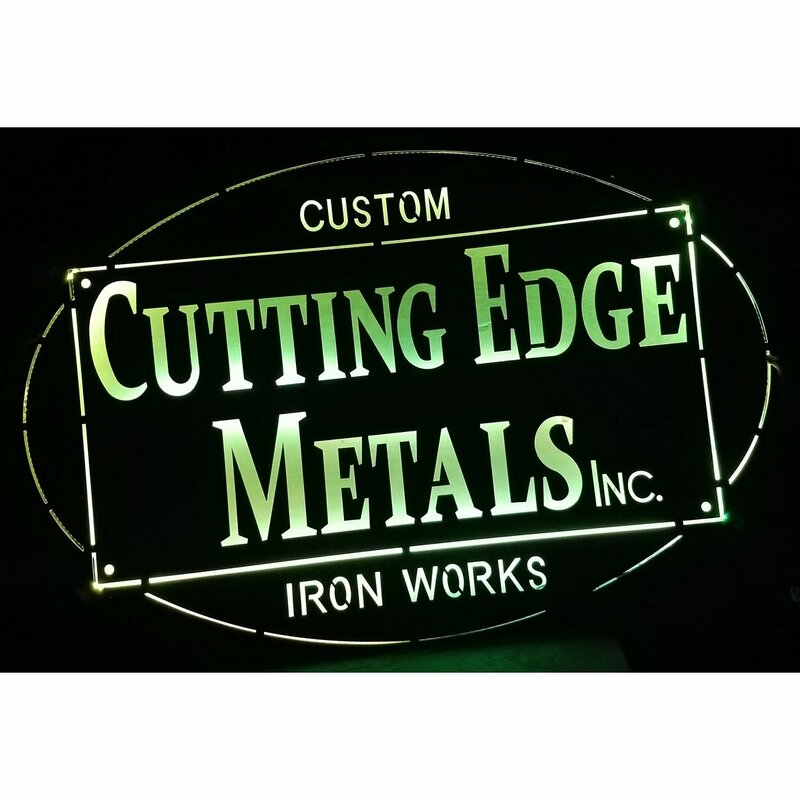 Custom Signs and Cut Outs | Cutting Edge Metals Inc. This page contains different signs and cut outs we've made for customers. These can range in size, from small to very large signs. 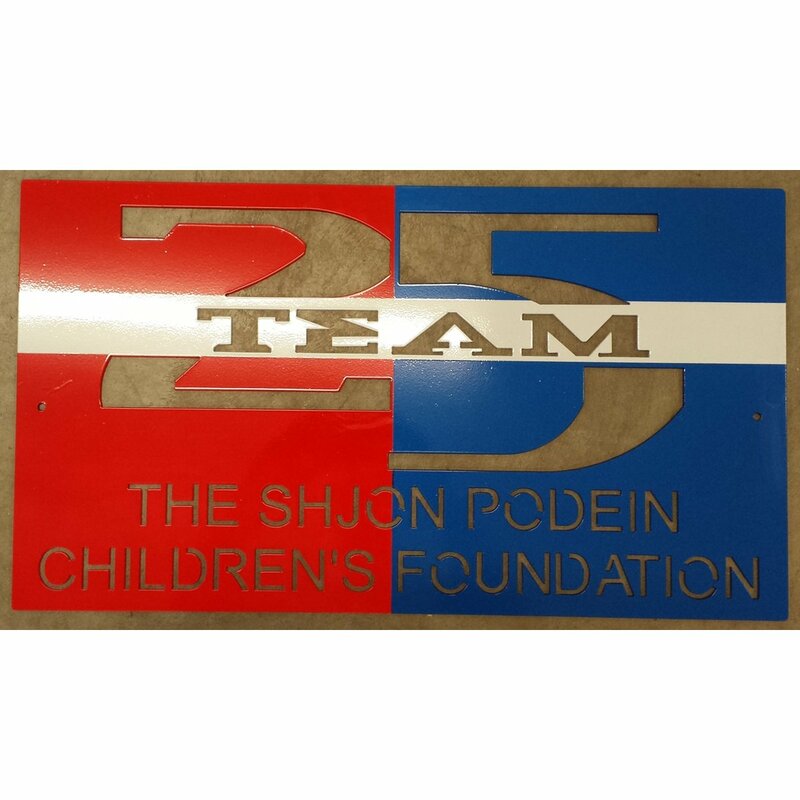 We can make them with a painted finish, powder coated finish, air brush, detail painting, back lighting, cut out letters, stand off letters, polished aluminum or stainless steel. 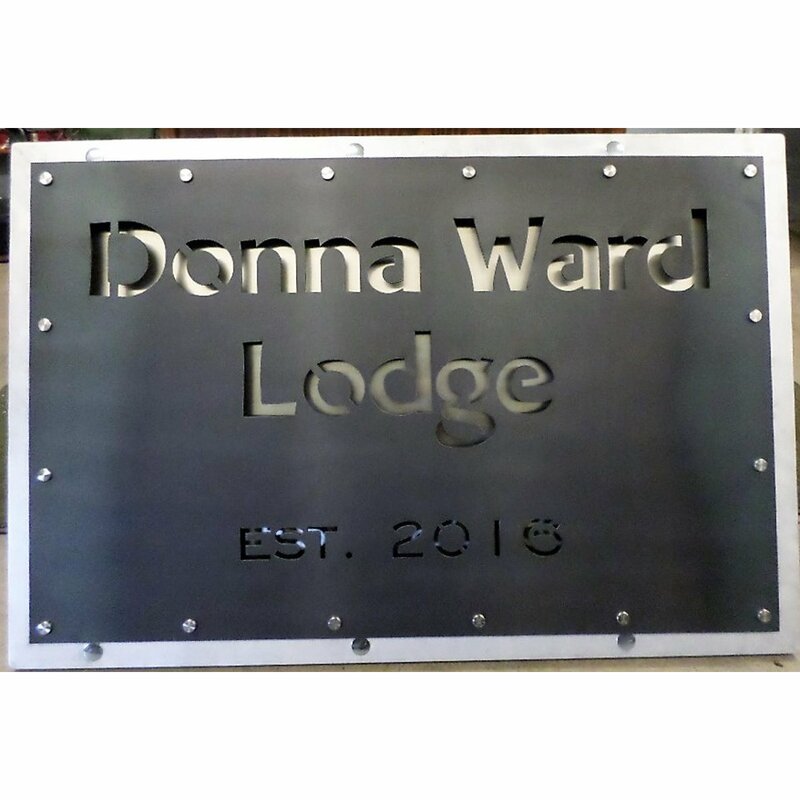 We can make just about any size, shape or design sign. Just give us a call at (715) 718-0781 to discuss your project. 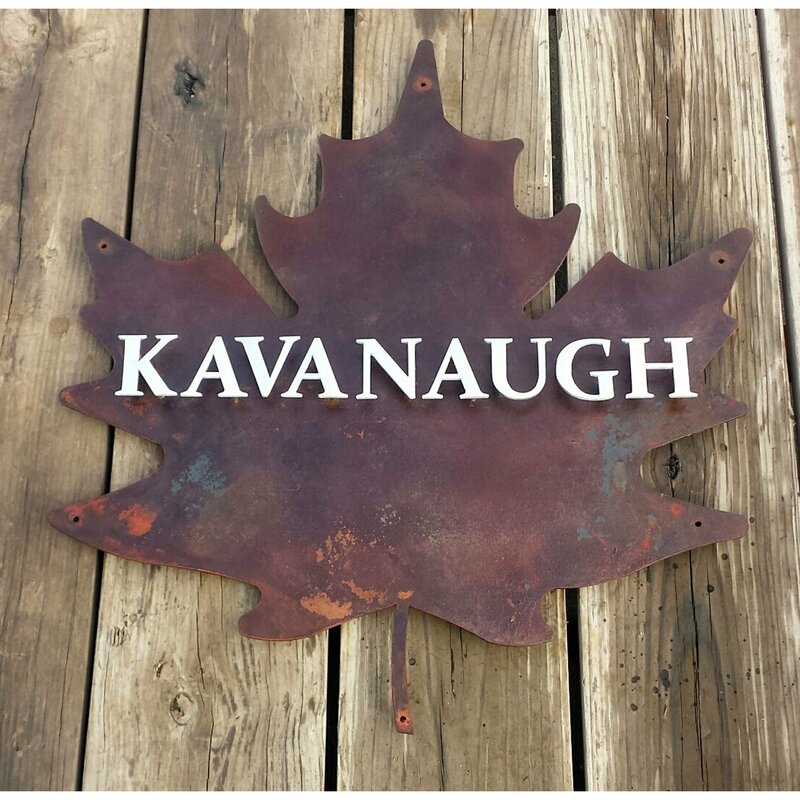 This custom metal sign was done for a good customer of ours who owns a store in Sister Bay WI. If you're ever in the area, go visit them. You won't be disappointed. The sign was made into a box with no back, instead tabs for installing it. This gave it depth. Then, we stood off the logo and letters so that they could look like they were floating off the background. The contrast of the black and white paint we used to make this worked out really well. We did paint the all thread black behind the letters so they would blend in with the background. We just didn't get a picture snapped in time before we shipped it. In the picture with the building, we also did the sign cutouts on the sides of the big sign. These are stood off the wall a couple of inches to give depth again. 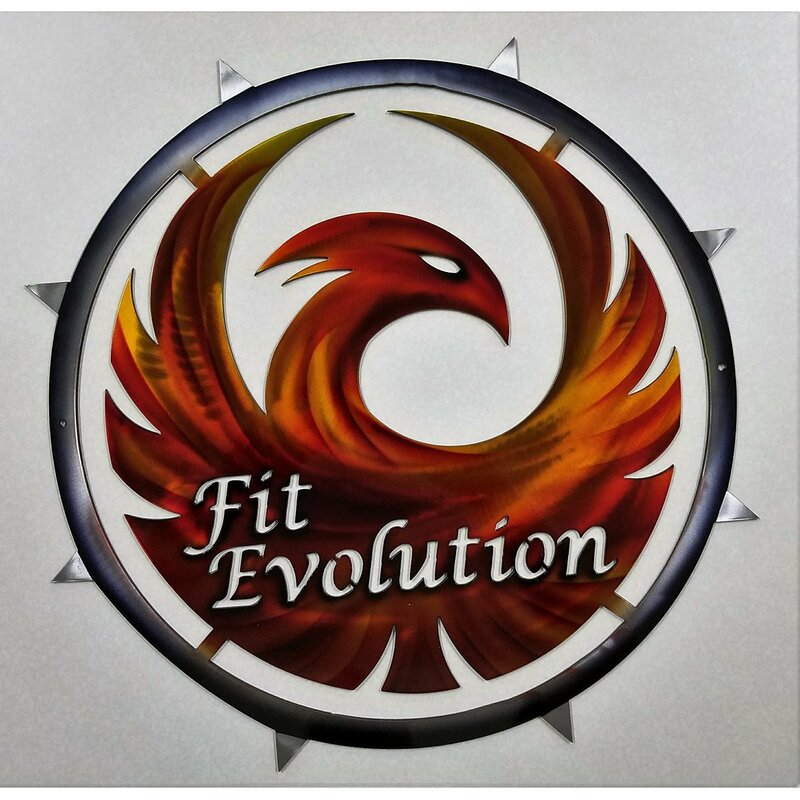 If you have an idea for a sign, get a hold of us at (715) 718-0781 and we can put the idea together for you. 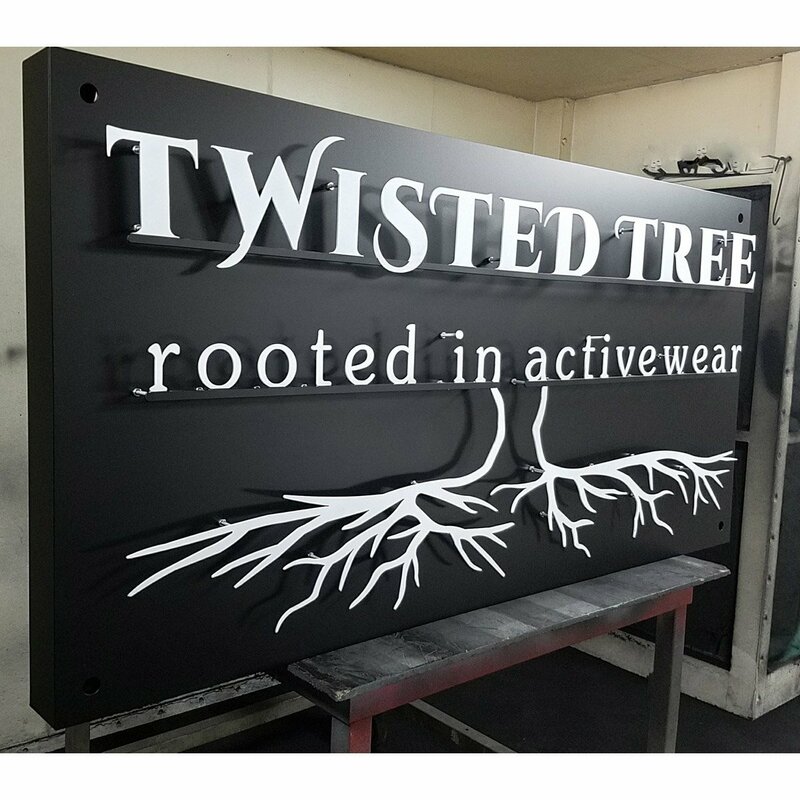 Here is a 6' wide LED back lit sign we did for a customer here in Superior, WI. 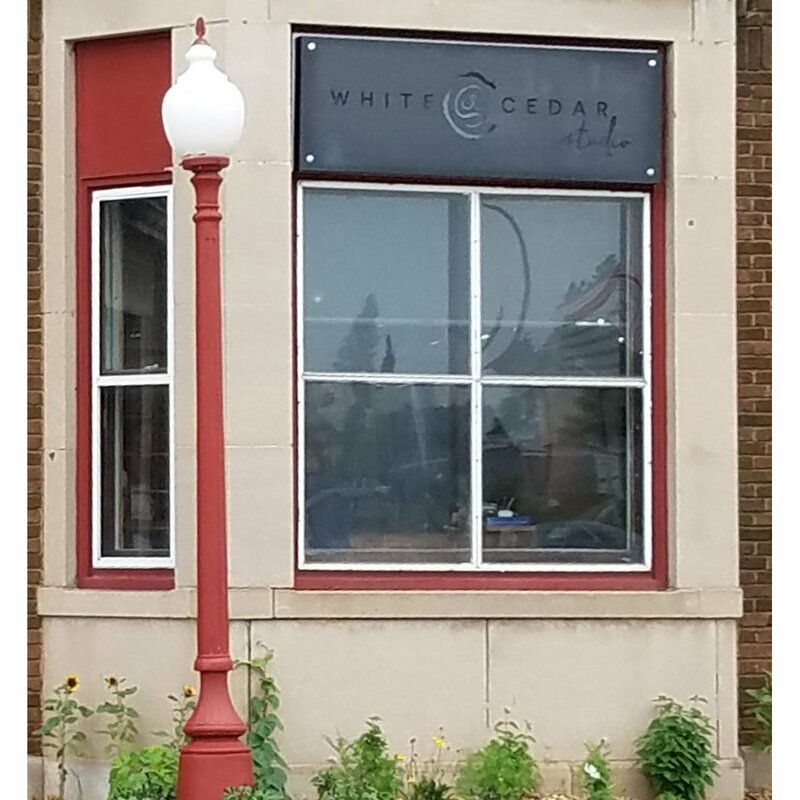 White Cedar Studio is a fantastic jeweler in Superior, WI. They make some of the finest, most unique pieces we've seen. Look them up if you haven't found them yet. 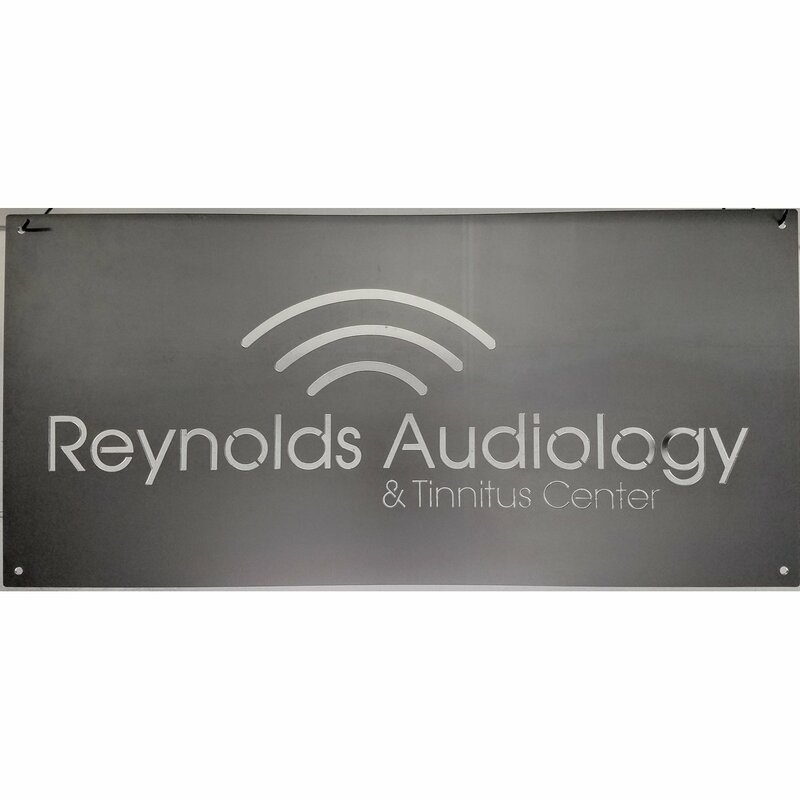 This sign is made of 1/8" thick steel and boxed in to add depth, then airbrushed to look like slate. We then installed LED lighting and put access holes in it to install it with the tabs on the back. This is a super solid sign that will compliment this incredible business. If you want to discuss a project, call us at 715-718-0781. Of course we had to make our own sign. 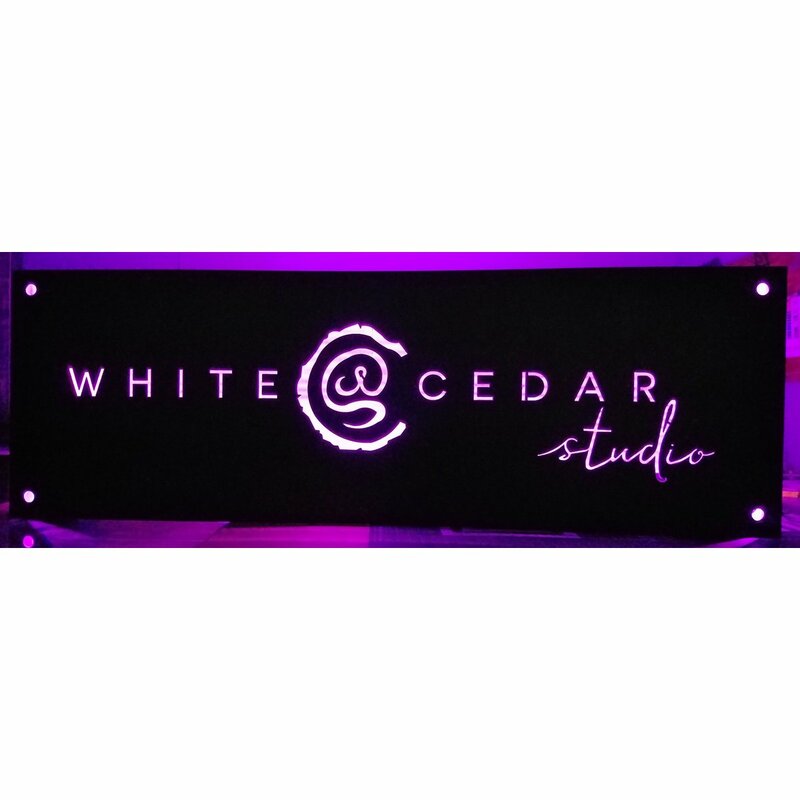 This sign is 8' wide by 5' tall and back lit with LED lighting that is remote control. It's also got a black powder coat finish on it to keep it nice for a long time to come. 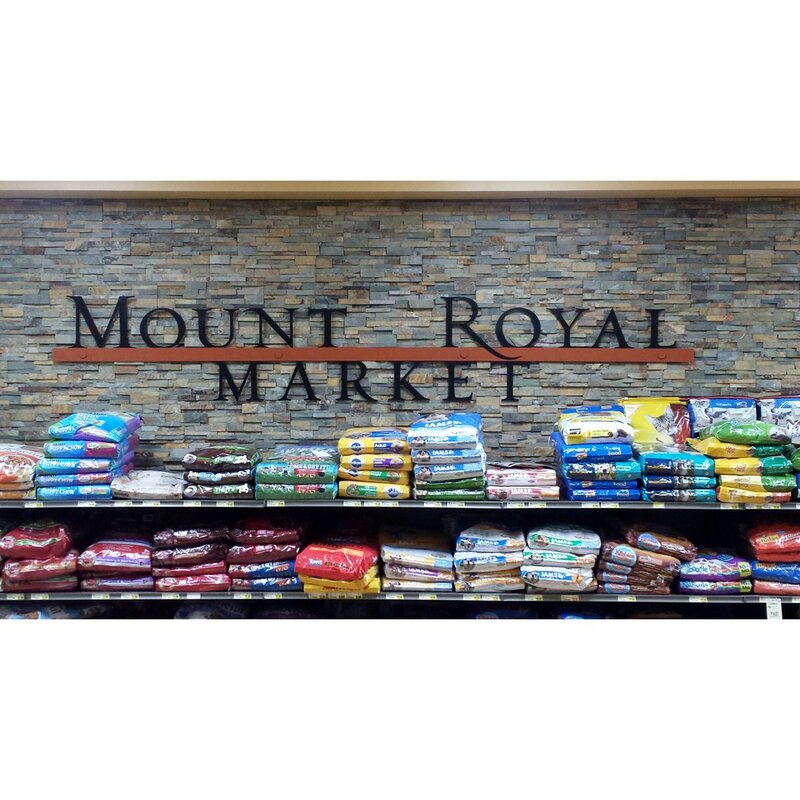 If you'd like to order a custom sign or cut out, give us a call at (715) 718-0781. Here is a sign we made for a customer that has a catering and event center. This is back lit with LED's and framed in steel. These lights can be set on a single color or change to many different colors. It's a very sharp sign for his business. 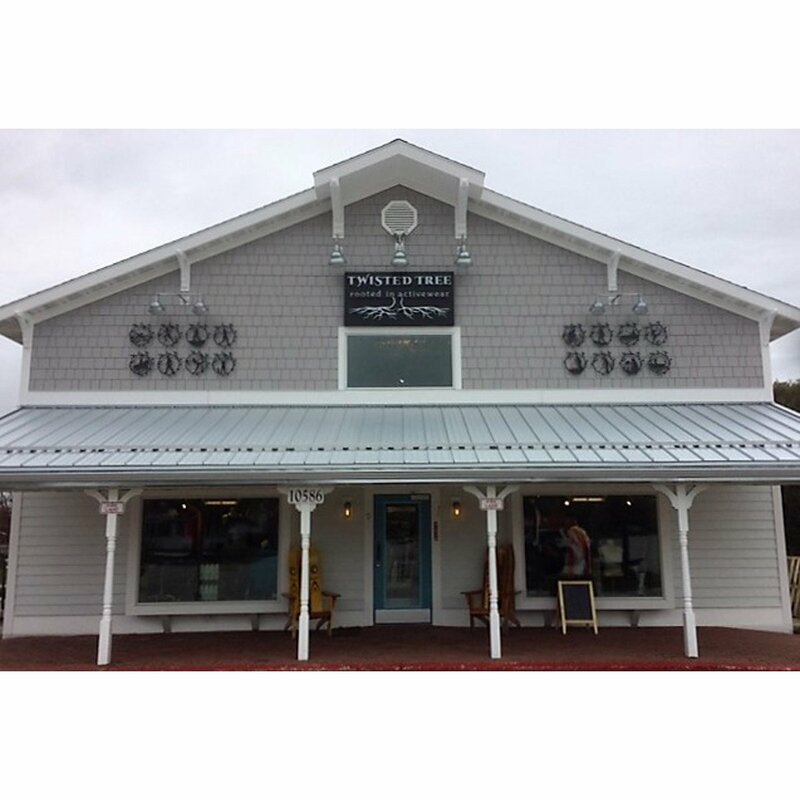 Enjoy the pictures of this custom business sign. 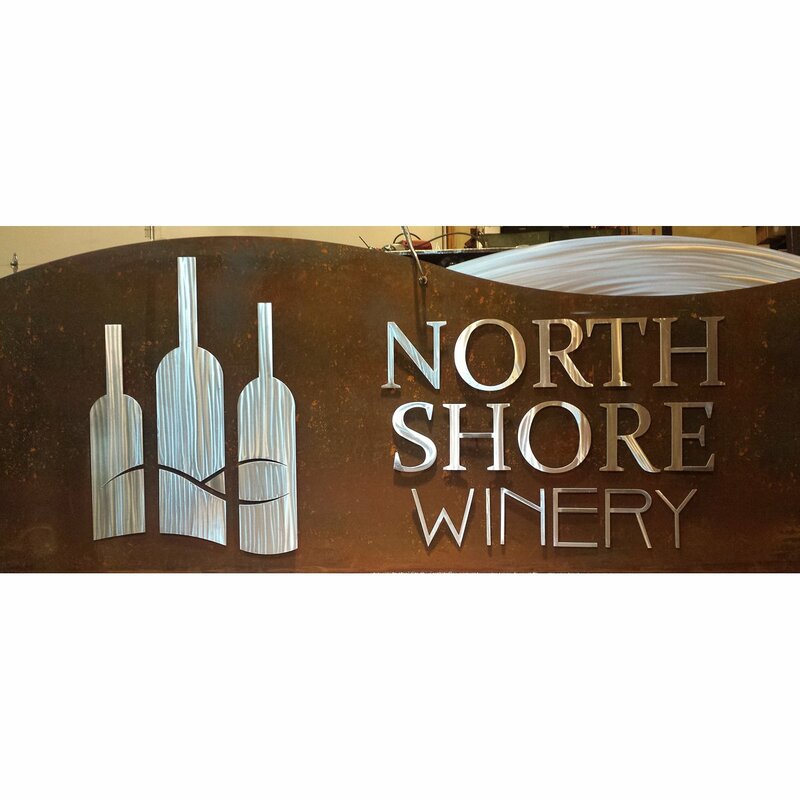 If you'd like to order a custom sign or cut out, give us a call at (715) 718-0781. Here is a 6' wide cut out of Lake Superior we did for a local engineering firm. 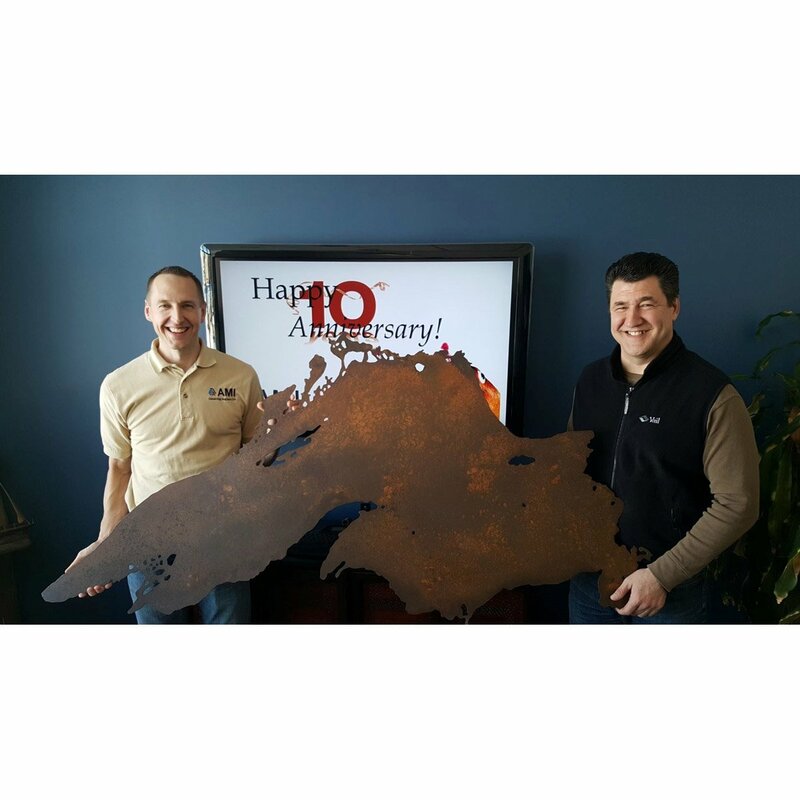 They gave it as a gift to the owners for their 10 year anniversary. A very nice gift for them. We welded a french cleat on the back and some standoffs so that they can hang it on the wall and it will look spectacular. This was also rusted and clear coated. 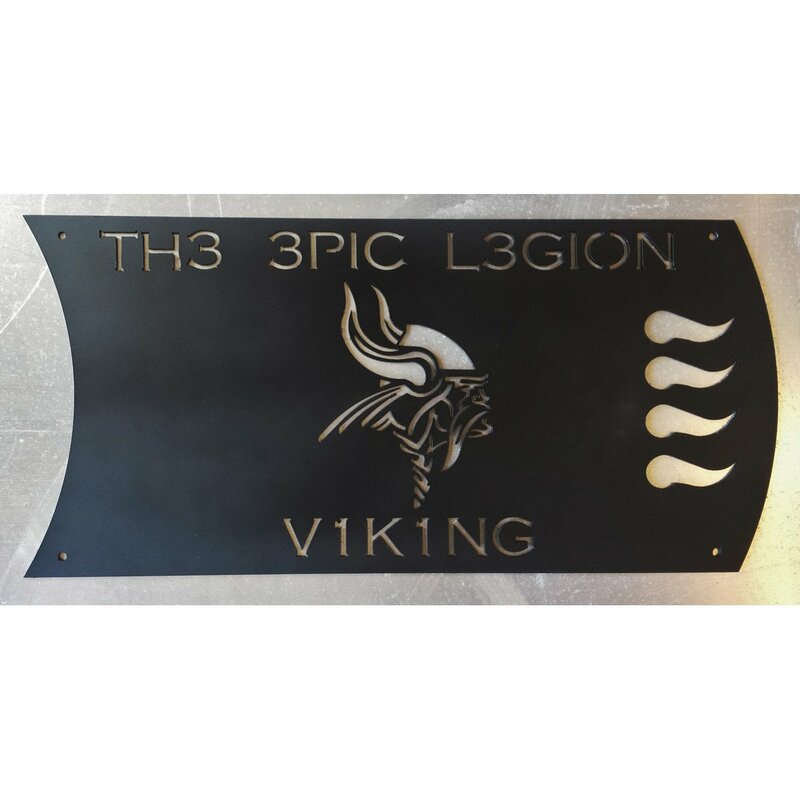 If you'd like to order a custom sign or cut out, give us a call at (715) 718-0781. 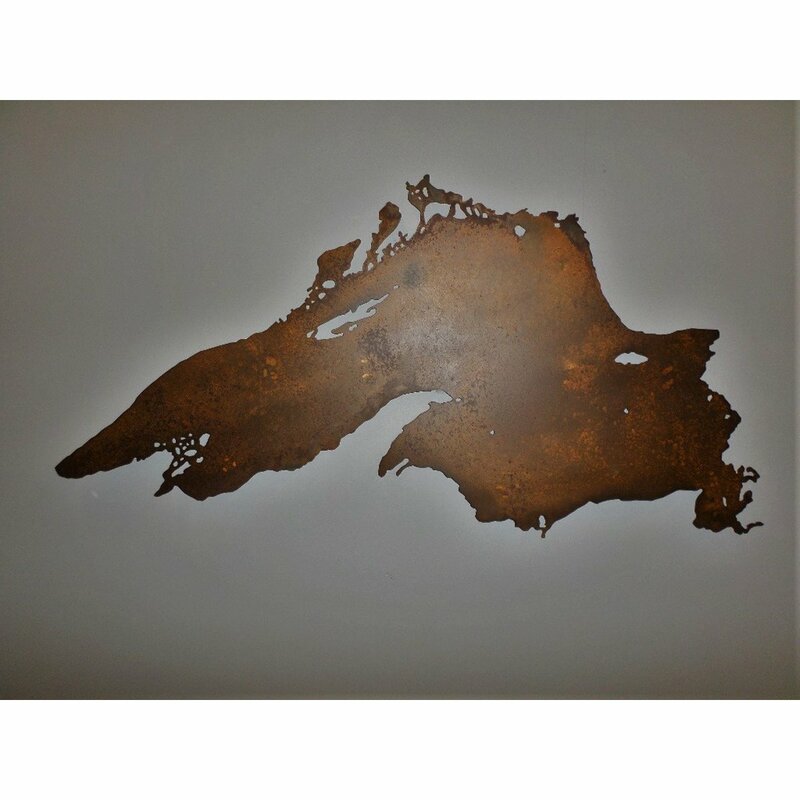 We cut out and rusted a 48"x56" bulldog head for UMD here in Duluth, MN. We then put some standoffs on it so they could epoxy it into the wall. 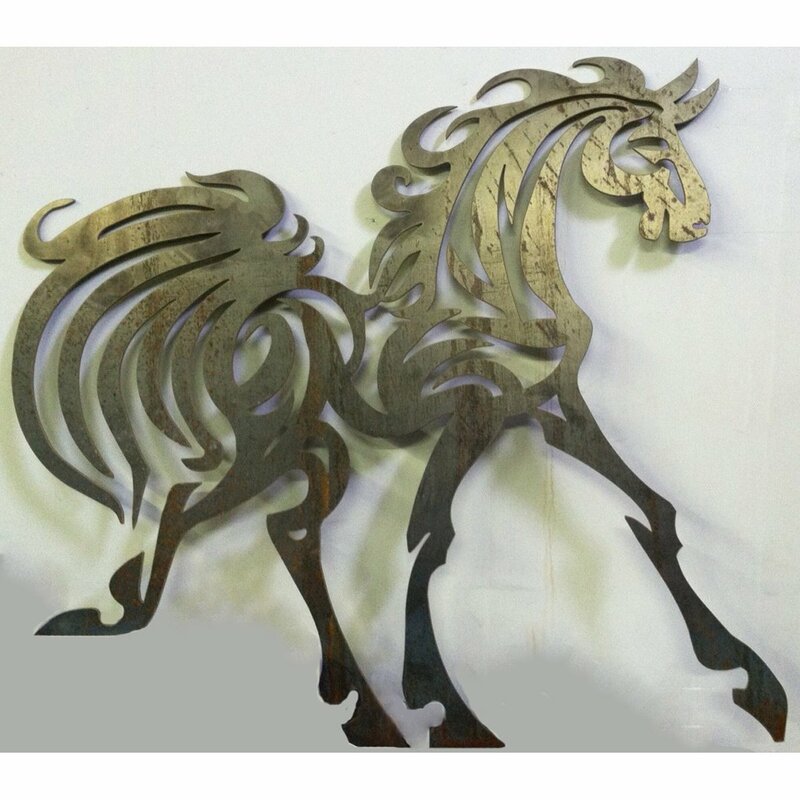 This is made from .250"thk steel. We can put pretty much any idea into motion. If you'd like to order a custom sign or cut out, give us a call at (715) 718-0781. 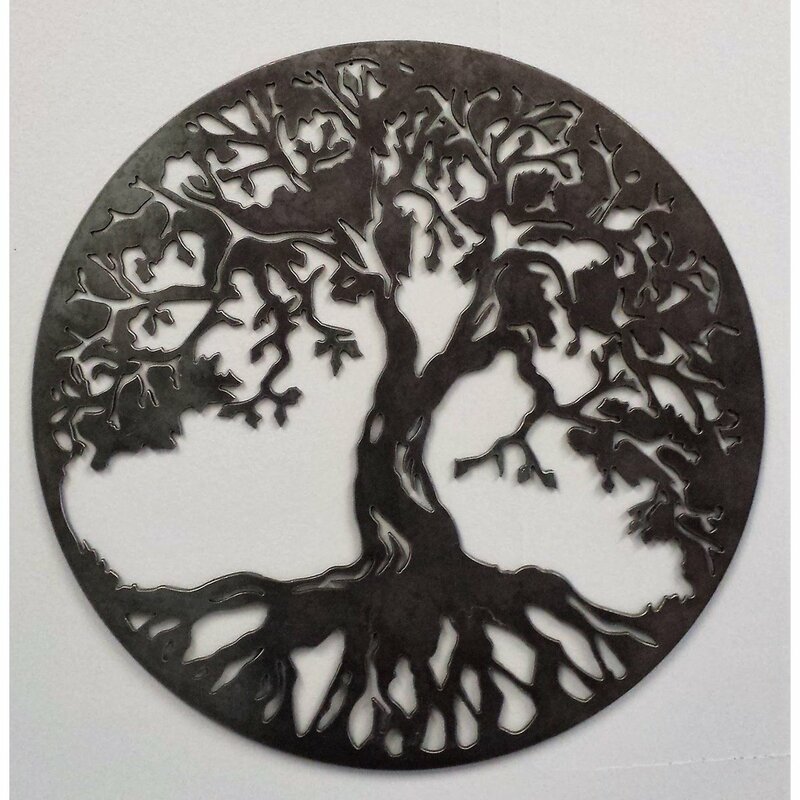 Here is a tree of life we cut out for a customer to put inside their railing. This works just as well on a wall or inserted into a custom sign. 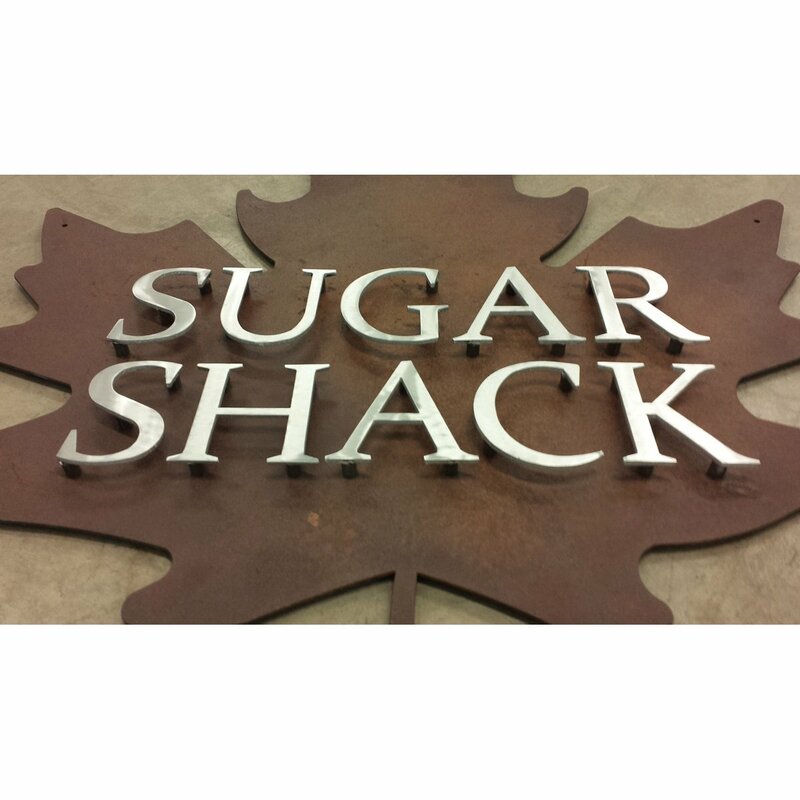 If you'd like to order a custom sign or cut out, give us a call at (715) 718-0781. 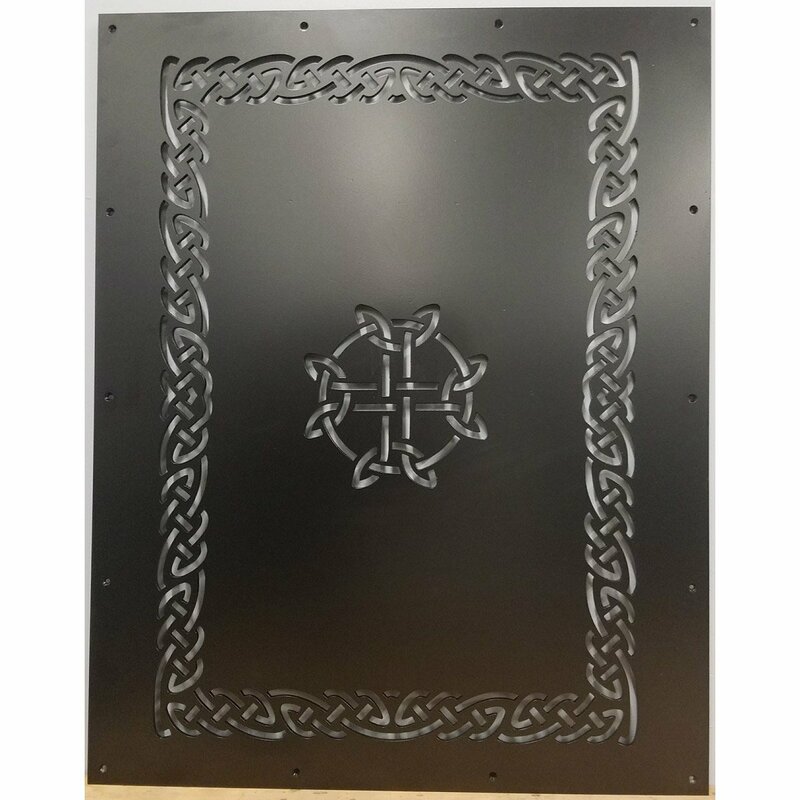 This is a custom steel Celtic table top we cut out for a customer and then powder coated. I like the design in the middle of the table. This is a great center piece and a good discussion piece. 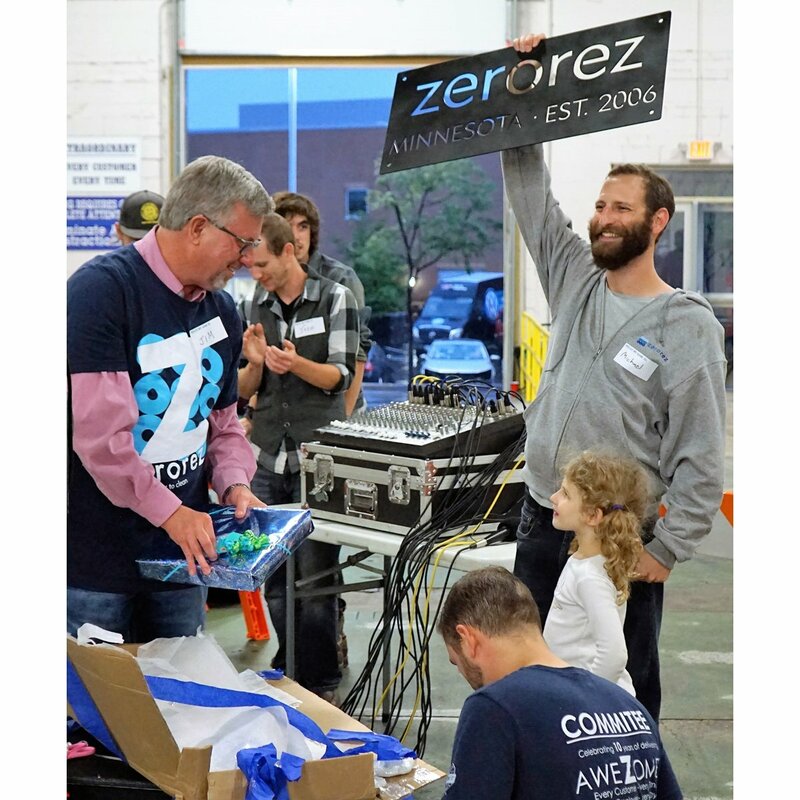 If you'd like to order a custom sign or cut out, give us a call at (715) 718-0781. 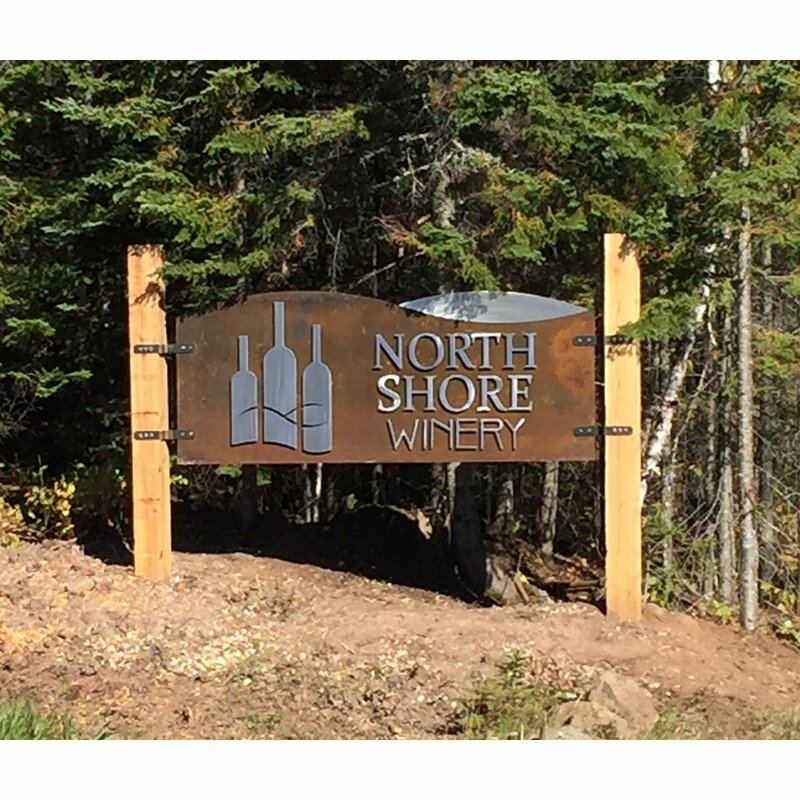 Here is a 10' wide sign we made for a winery up on the north shore of Lake Superior. This is near Lutsen ski mountain and is an absolutely stunning place. We're grateful to have been chosen for this job and we love being able to see it each time we're up that way. Lutsen has more class now that this winery is up there. Great place to be, even greater people who own it. 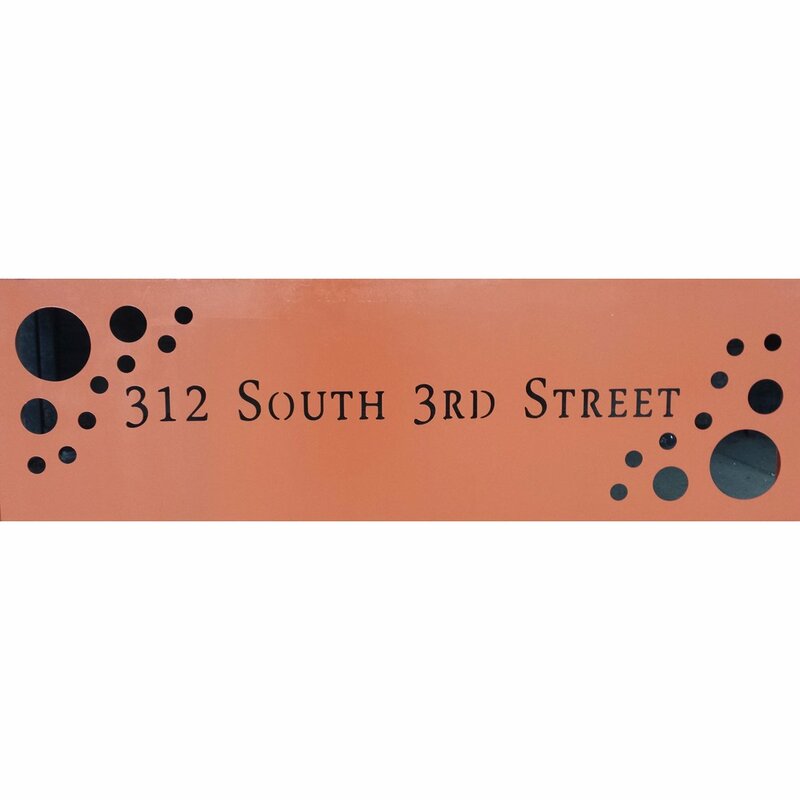 This sign is made of Corten steel and aluminum, which we added a brushed look to. This is a beautiful contrast. 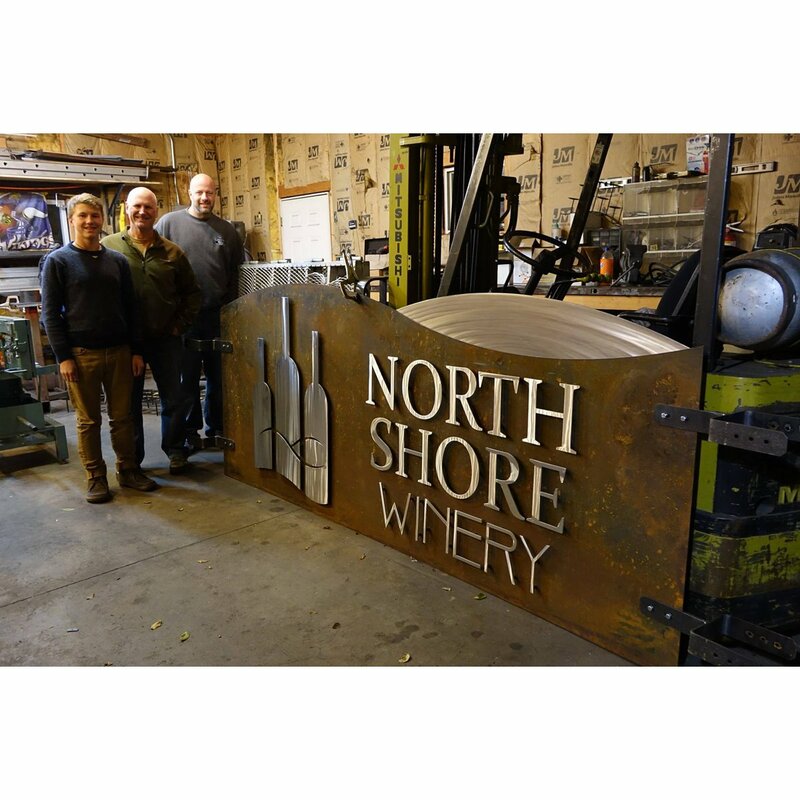 The second picture is with the owners of the NorthShore Winery. Chuck and Jayden. Kim is taking the photo. I wish I would have instead. No need for my mug to be in this photo. 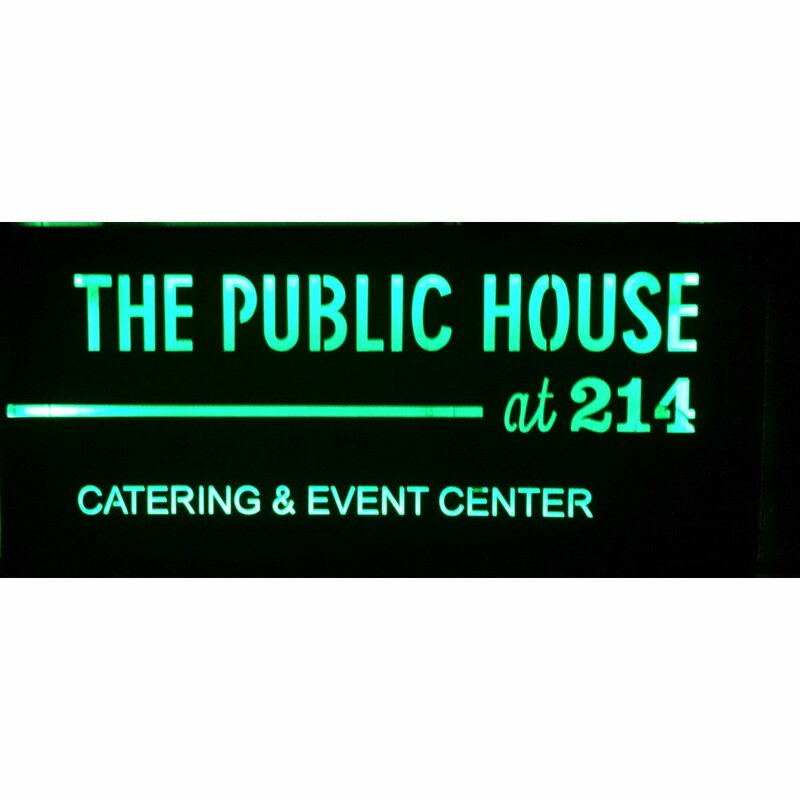 If you'd like to order a custom sign or cut out, give us a call at (715) 718-0781. 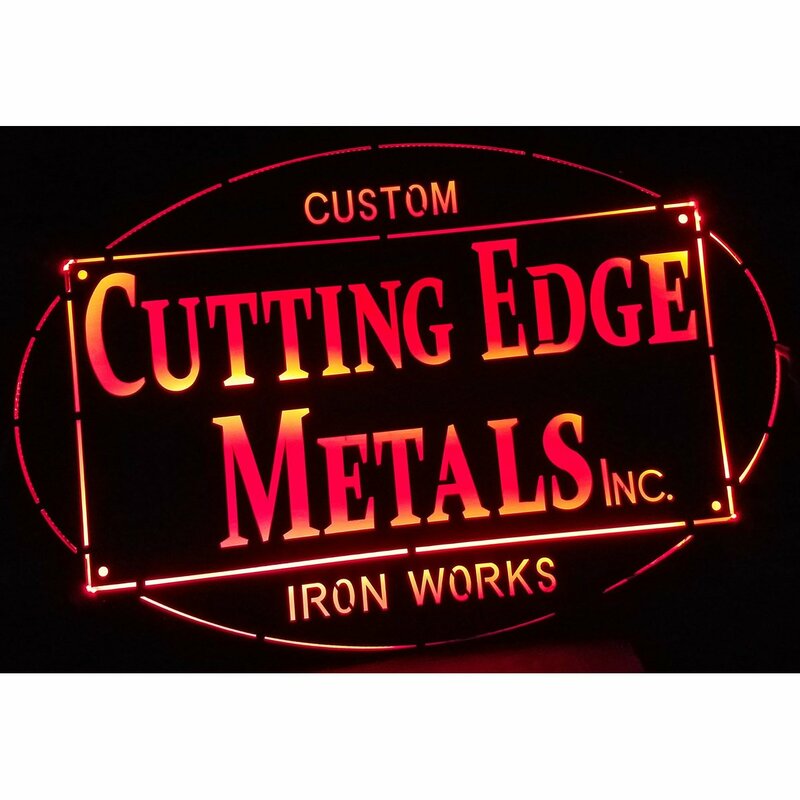 This is a sign we made for a customer that has an engineering company locally here in Duluth, MN. They wanted a rusted background with raised, brushed aluminum letters. We obliged. 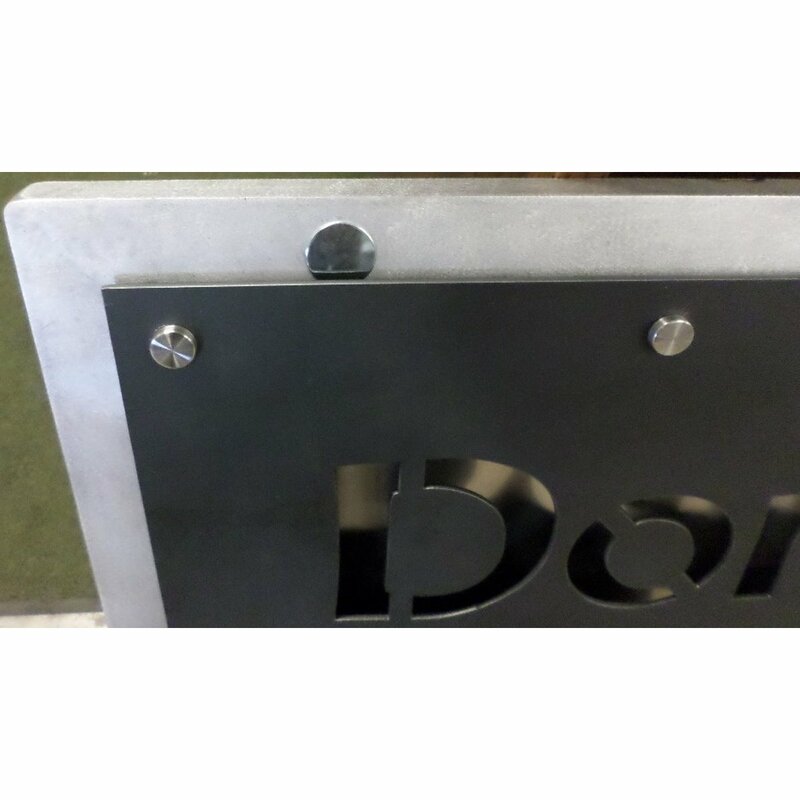 This is made from .125"thk steel, rusted and clear coated with .250"thk aluminum, which we brushed for the customer after mounting some standoffs. This came out great. 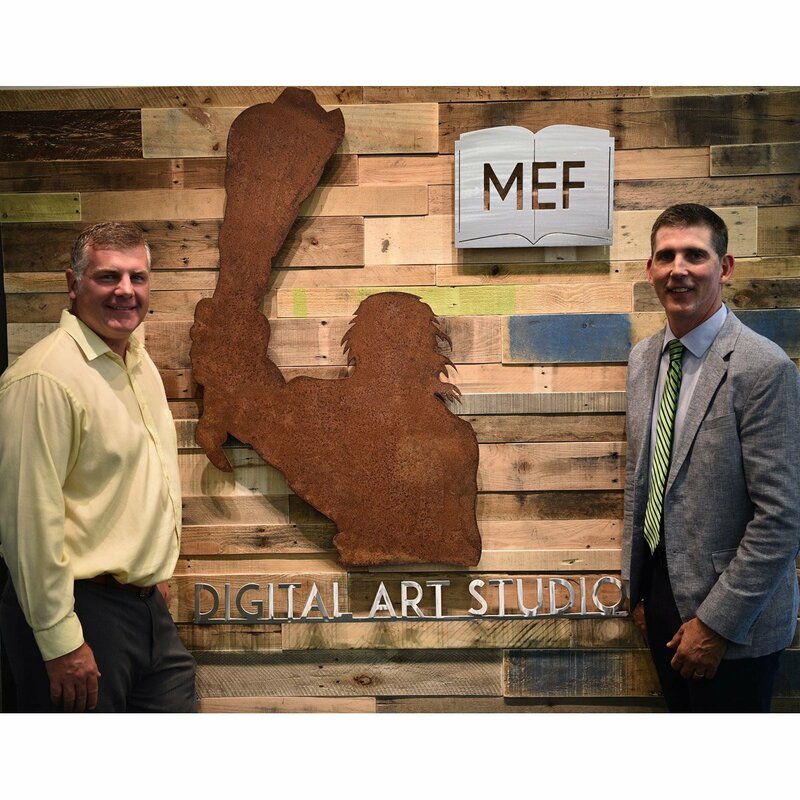 If you'd like to order a custom sign or cut out, give us a call at (715) 718-0781. 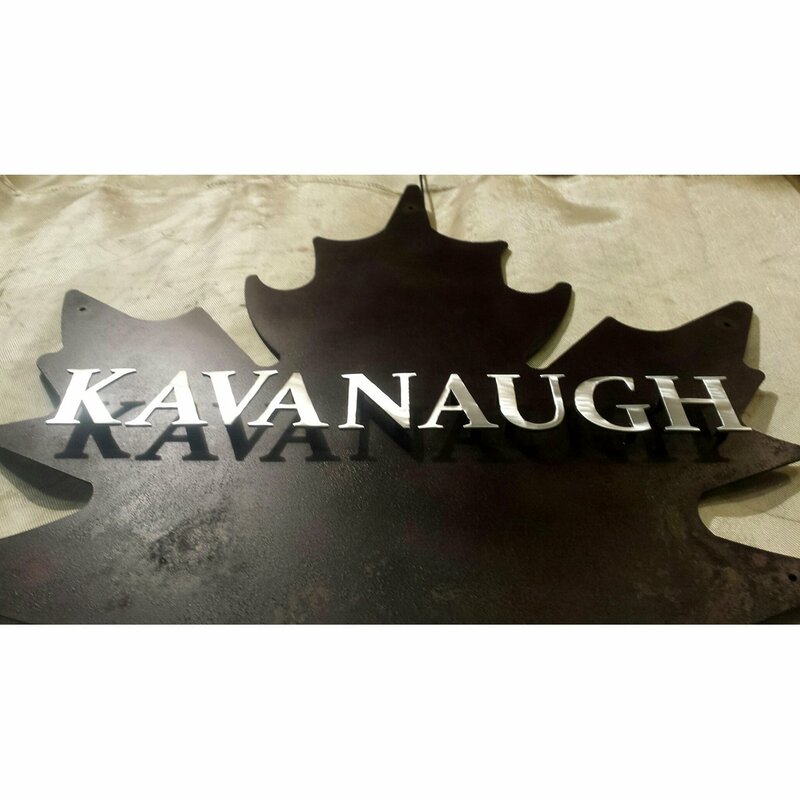 Here are a couple maple leaf signs we make. 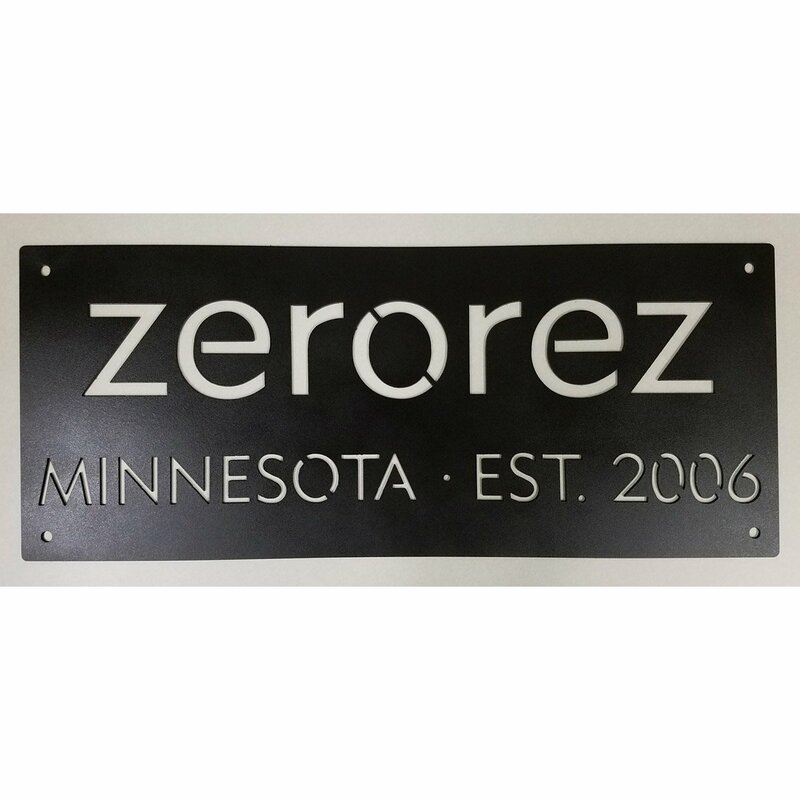 This is a 36" wide sign by roughly 40"T and the letters are brushed aluminum, set on a rusted mild steel background. This will continue to patina over time but slowly as we've sprayed it with a clear coat to stop bleeding. This is going to be set off their wall by about an inch and the letters are set off by almost another inch from the mild steel background. 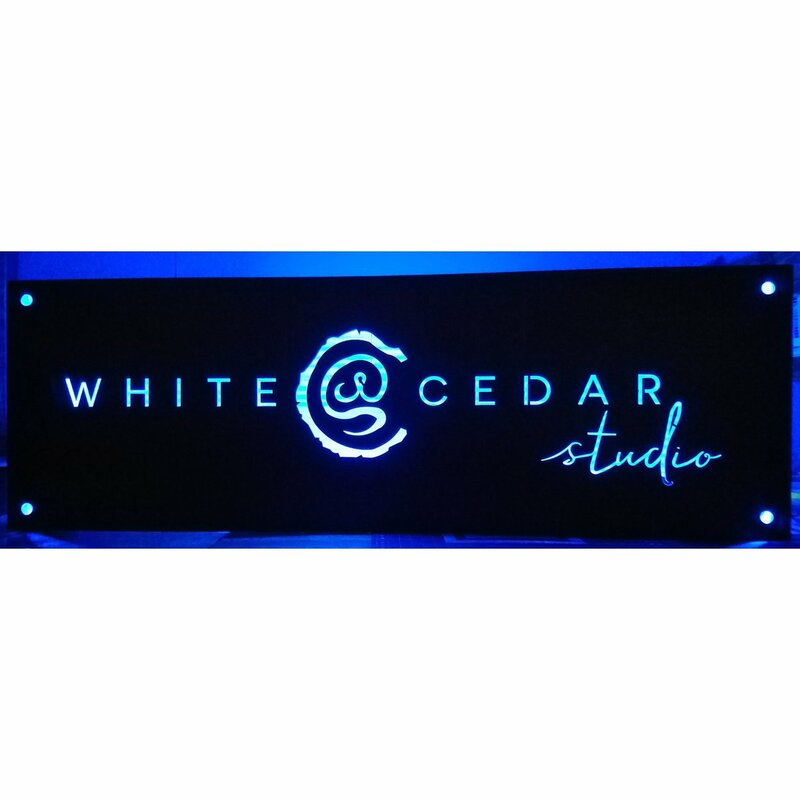 You can have us design a custom sign for you by simply calling us at (715) 718-0781. Here's another idea. 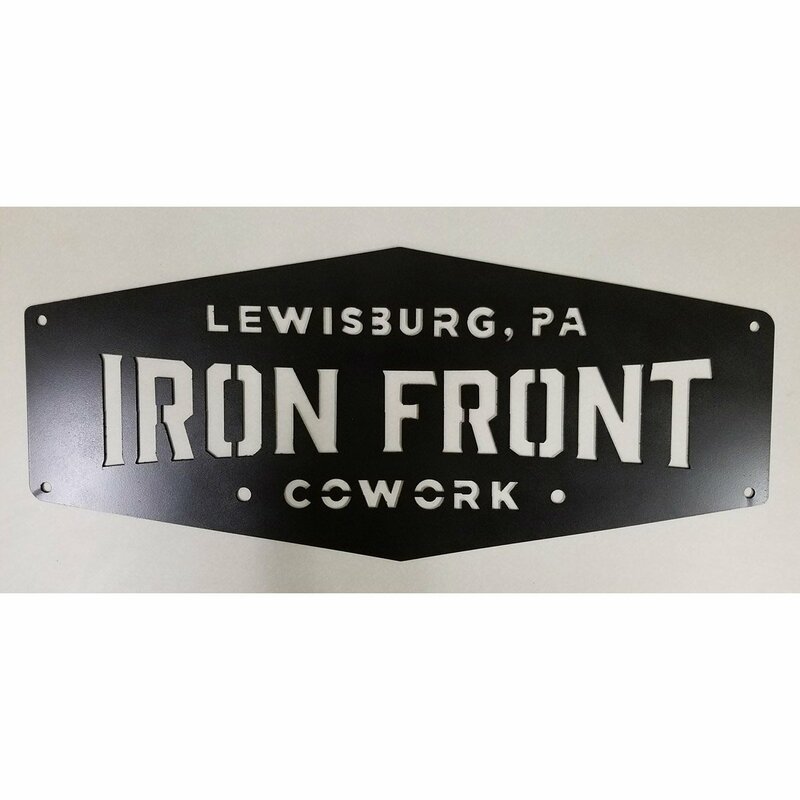 This has Mild Steel with "negative letter" cut outs, which is standing off from an aluminum frame. This is a classy way to dress up your business wall or side of building. 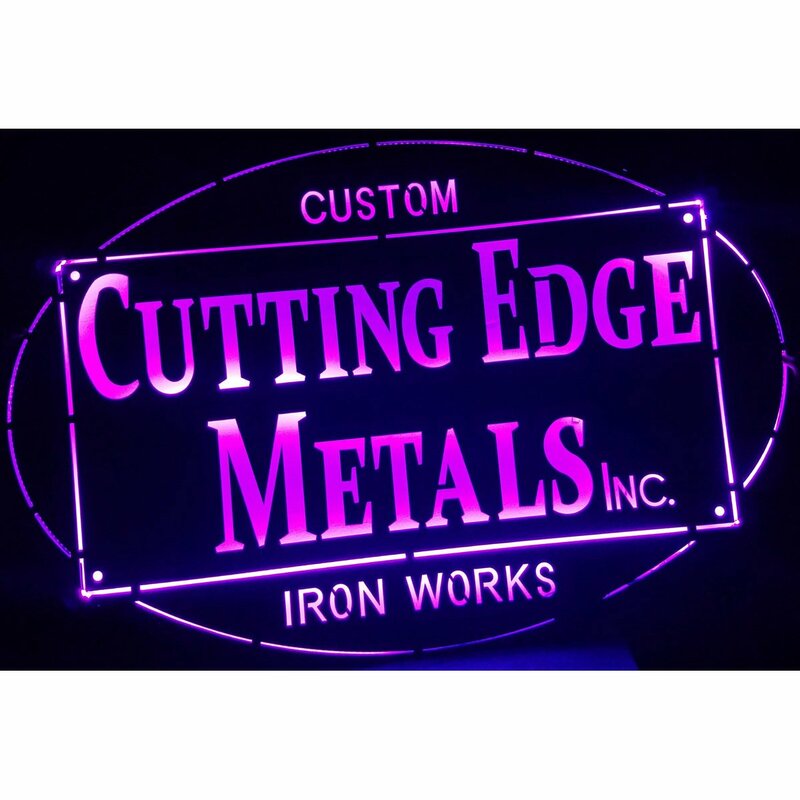 If you'd like to order a custom sign or cut out, give us a call at (715) 718-0781. 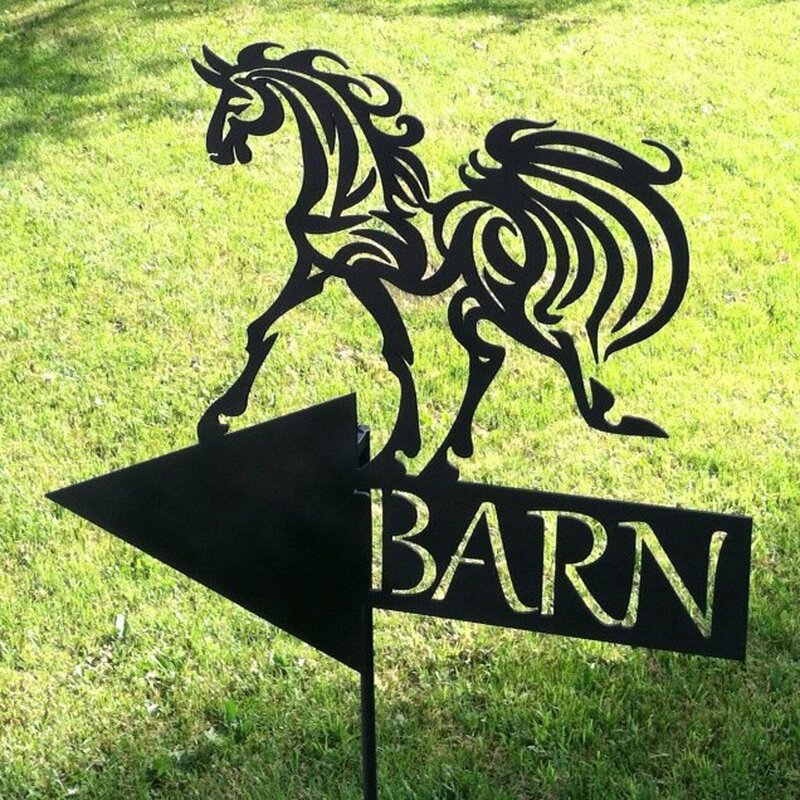 We made this custom horse, name and directional sign for a customer who is building a horse farm. They will be offering boarding for up to 16 horses, in a beautiful, state of the art facility. They have an Olympic size indoor arena for dressage. Dressage is a sport where the "horse and rider are expected to perform from memory a series of predetermined movements," and has many levels from beginner to Olympic level. It looks like a horse ballet. 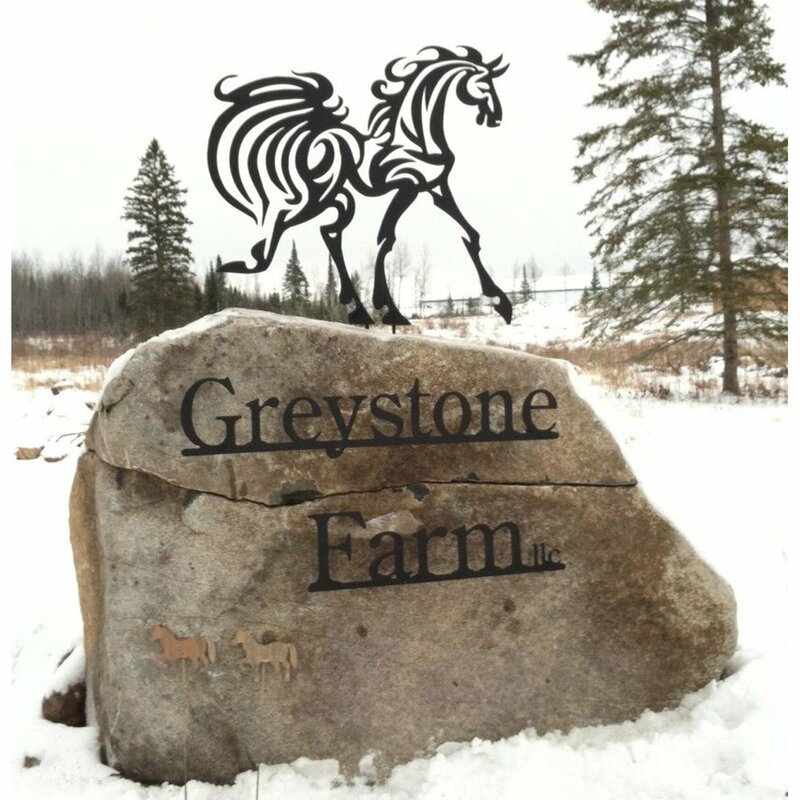 If you are interested in contacting them for information, they are Greystone Farm, owned by Ann and Robert Busche and are located in Saginaw, MN. 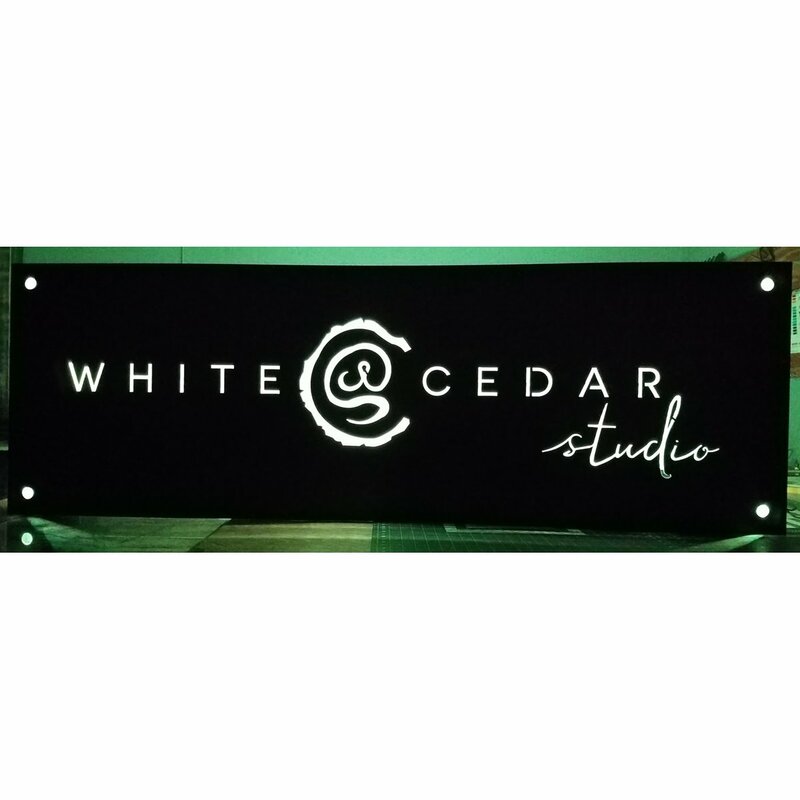 If you'd like to order a custom sign or cut out, give us a call at (715) 718-0781. 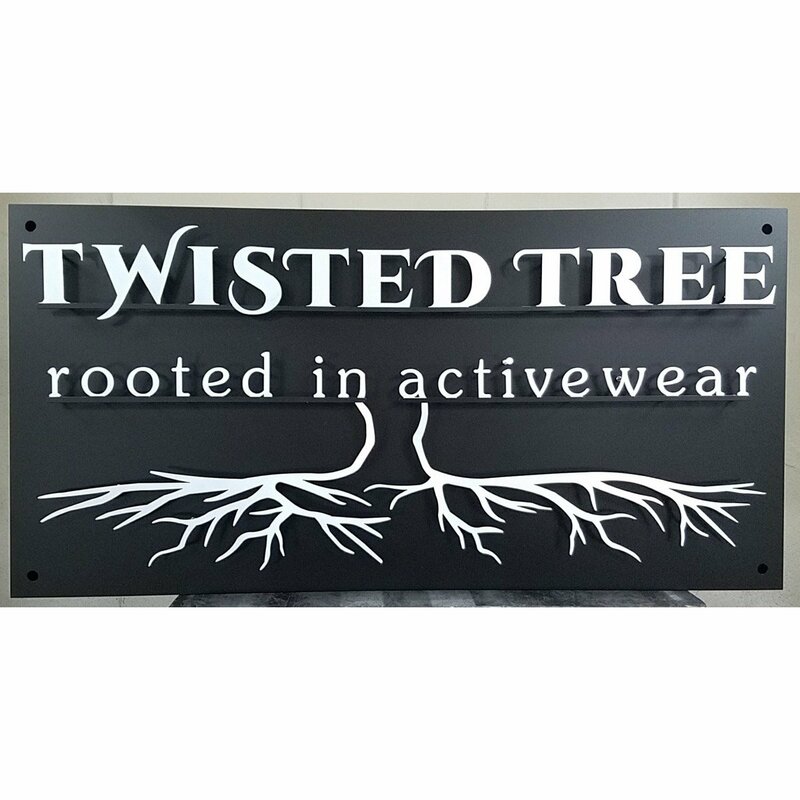 This is a 6'W sign that we made for a customer that is going to mount it on a boulder. 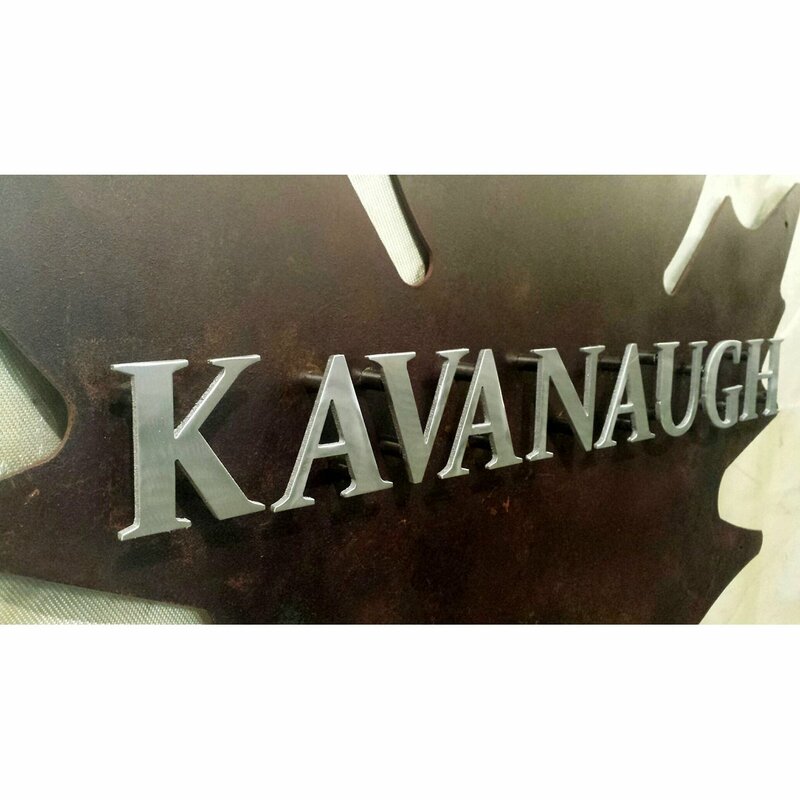 These are custom cut out letters for a company that had an attorney's office for the client. 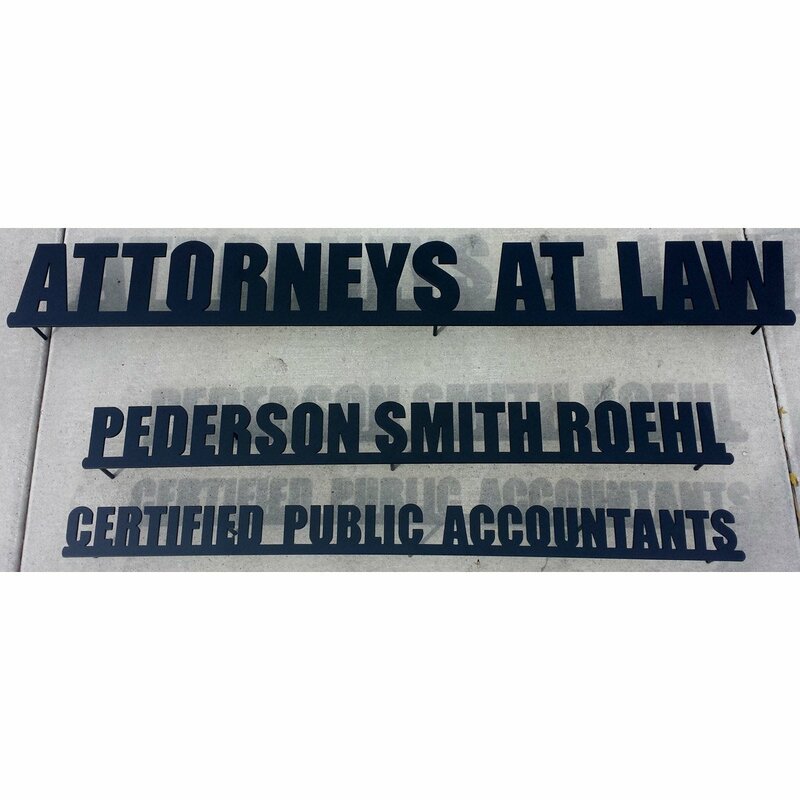 They also had a CPA firm that would be put on the sign so we made the signs for both. 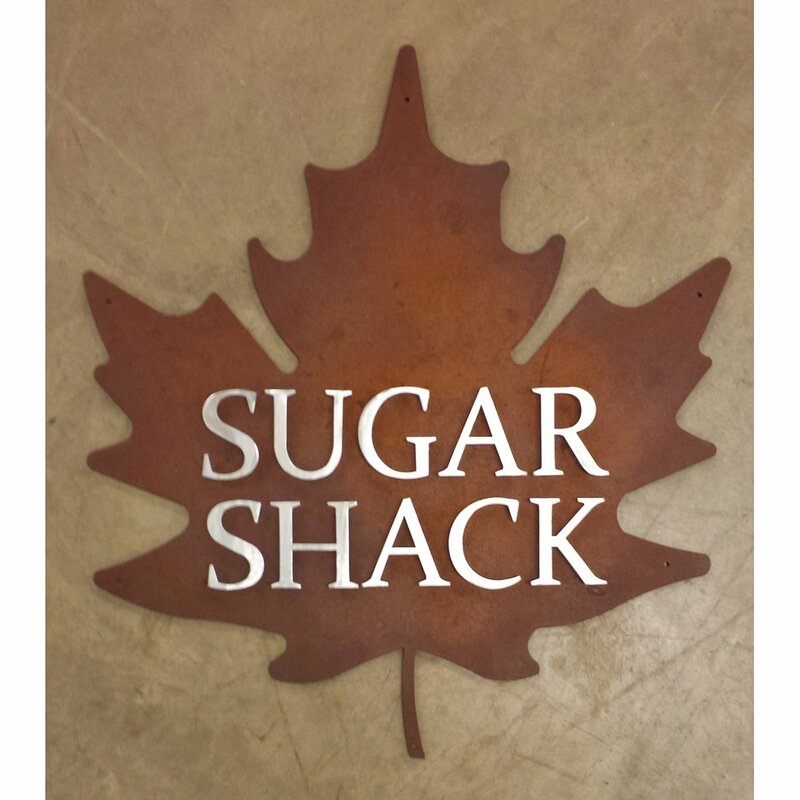 We can cut out a custom sign like this or add a design and get it ready for you to mount or we can install it for you. 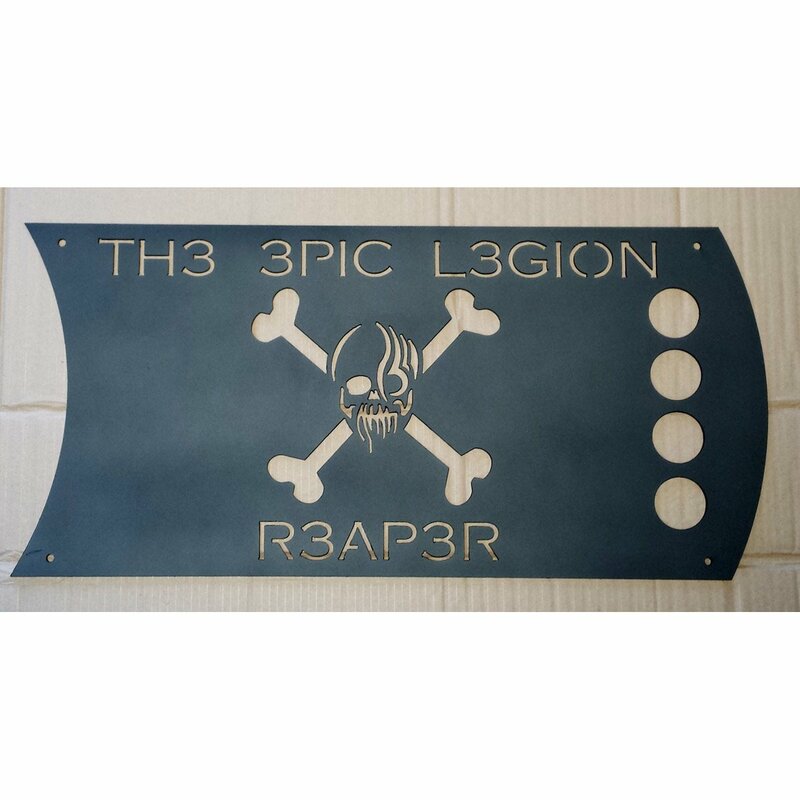 We can either paint or powder coat any sign we make as well. 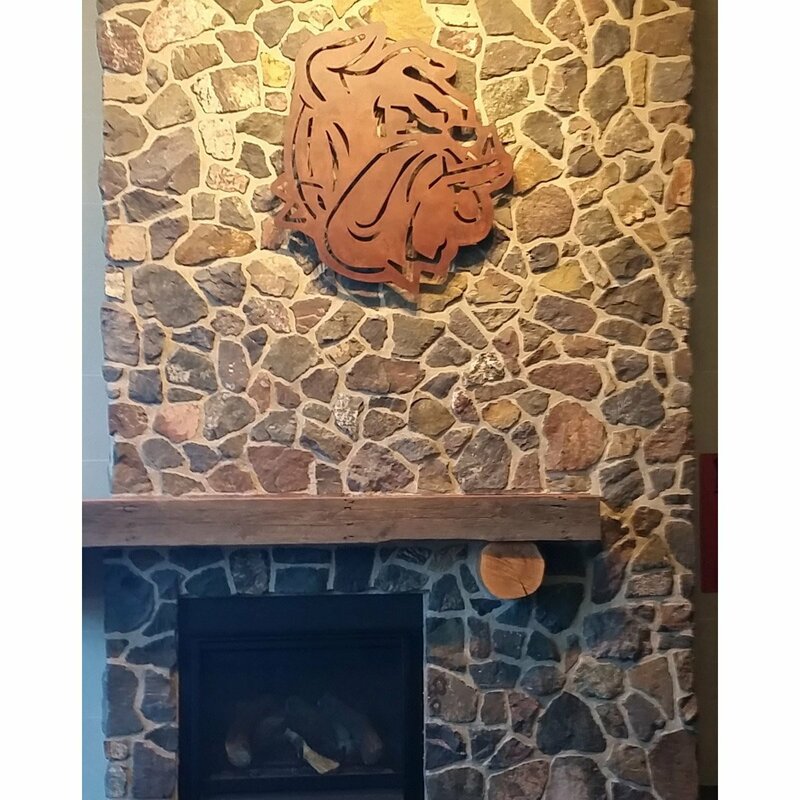 If you'd like to order a custom sign or cut out, give us a call at (715) 718-0781. This sign was modified by us. We cut off some letters on the bottom that said "Fine Foods" and replaced them with "Market". Then we shipped it off to our excellent awards/sign company that we do business with locally and they did the rest. We had to sneak in the store and take a few photos because the finished product is always the best to look at, don't you agree? If you'd like to order a custom sign or cut out, give us a call at (715) 718-0781. 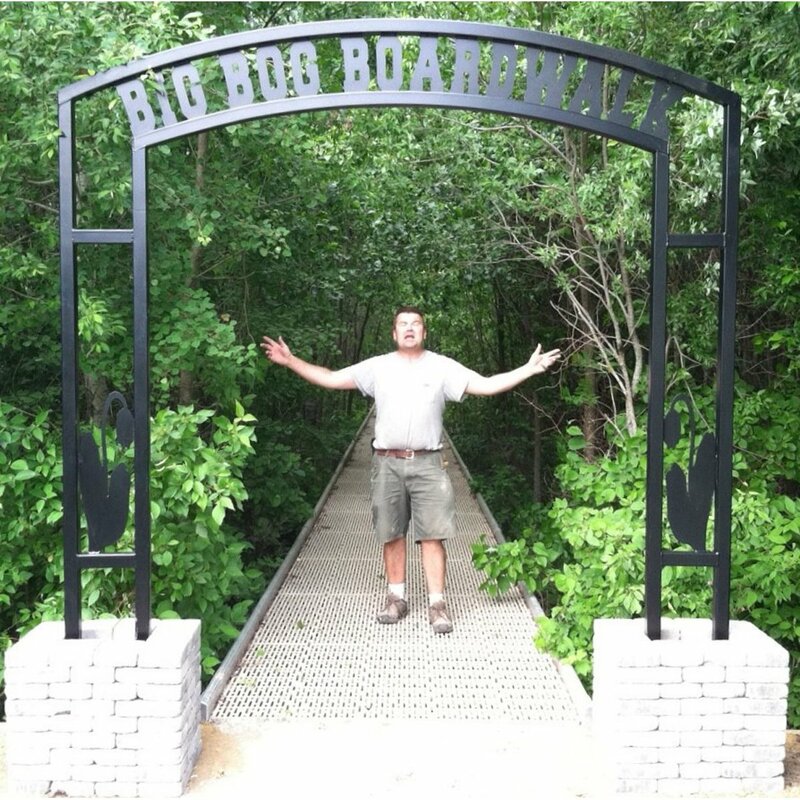 Here is a steel arch we built for a boardwalk. This is in a state park in Waskish, MN. 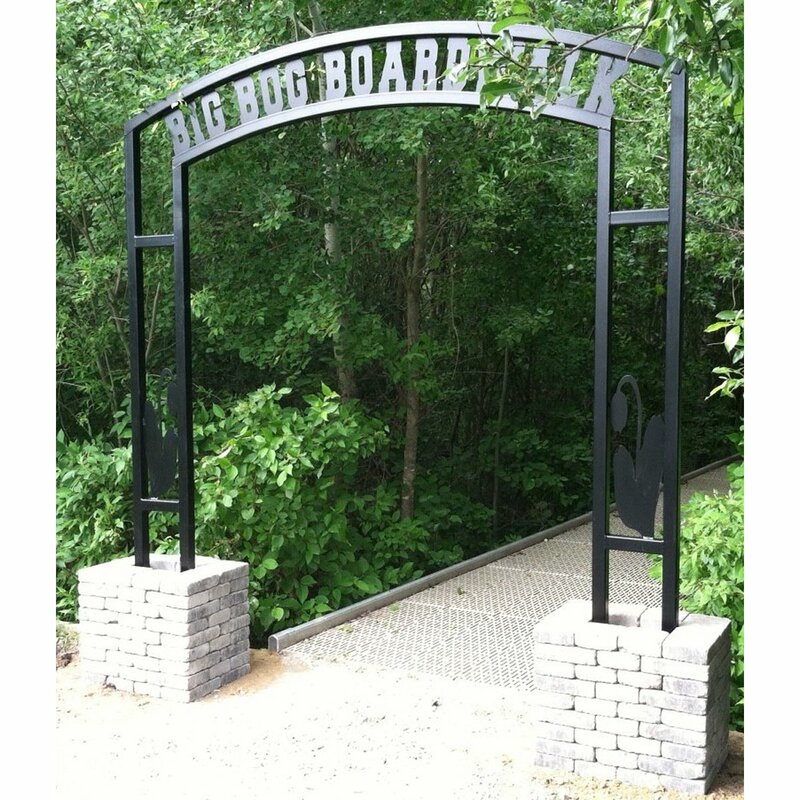 The Big Bog Boardwalk. They have a plant called the Pitcher Plant. It is a plant that is considered "carnivore" and can eat bugs and other things. I heard somewhere that they can even eat a mouse. Is this true? This is an incredibly unique plant and deserves it's own park. We also wanted to make sure that our "famed" buddy Jesse made his way onto the internet. Here is a rare scene below with him in one of his classic moves. 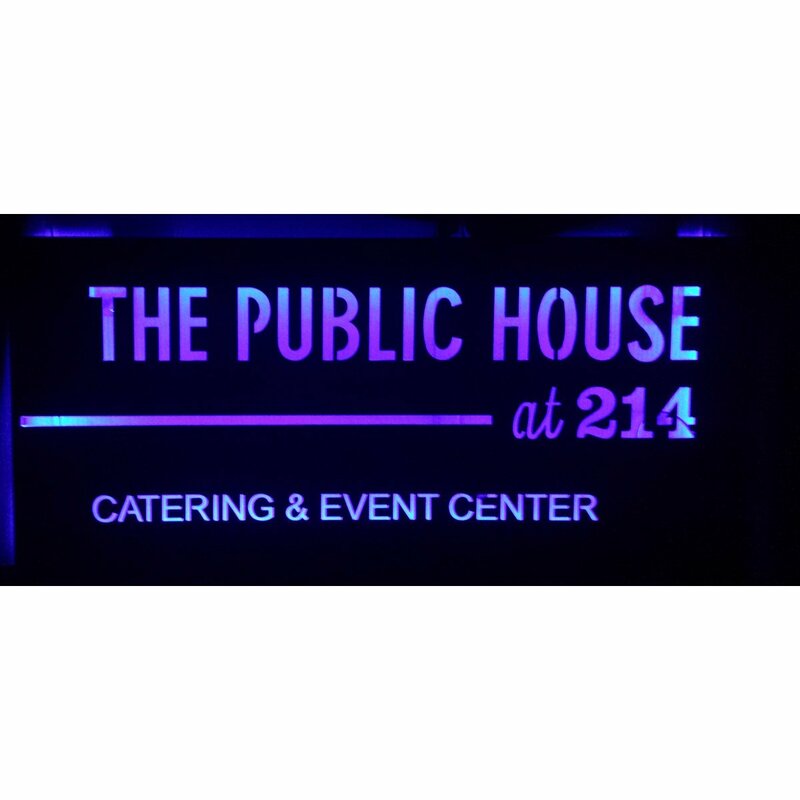 If you'd like to order a custom sign or cut out, give us a call at (715) 718-0781. 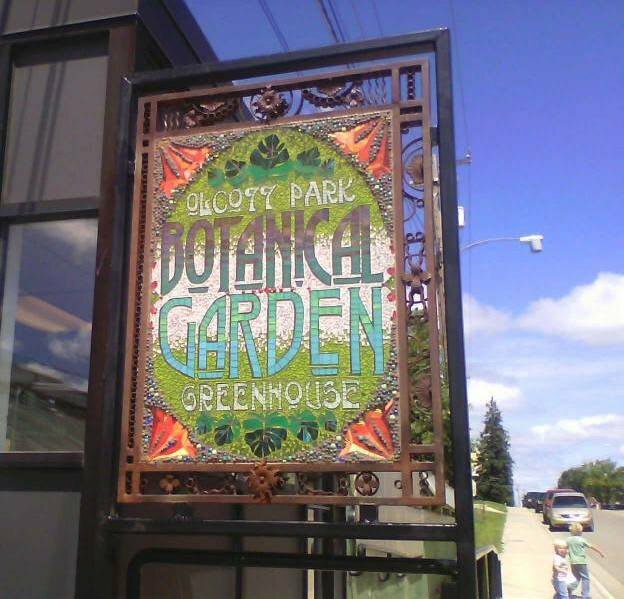 This is a custom project we worked on for local artist Nancy Miller that was commissioned to build a mosaic sign for a greenhouse. 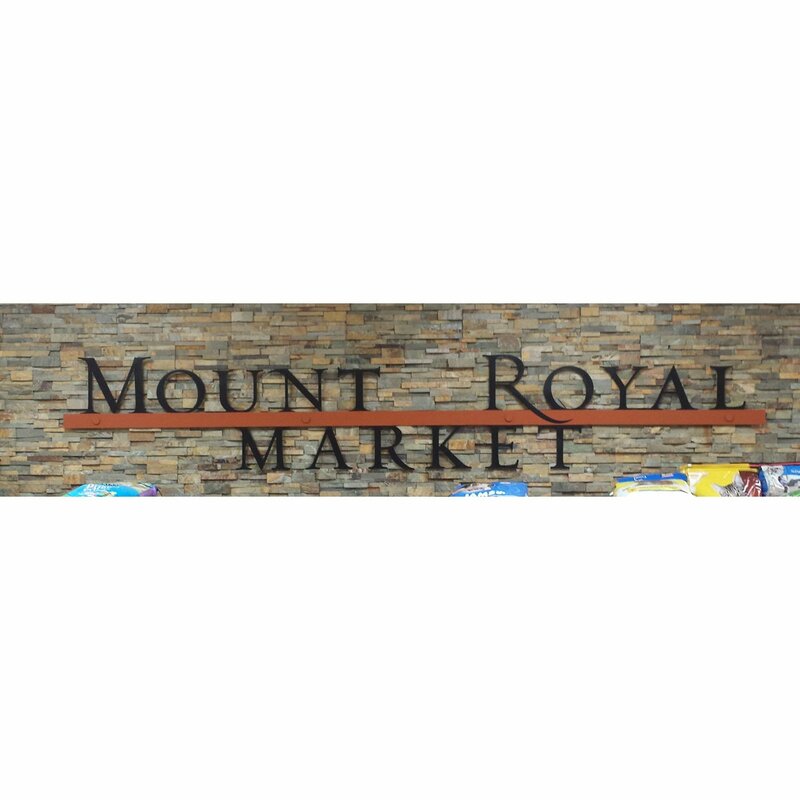 This is a double sided sign that has beautiful, artful mosaic in the middle. This design was drawn up by Nancy and the frame was built in conjunction with her so that she could place her artwork in it. If you are interested in a project like this or have an idea of your own, you may contact us directly to discuss your idea. Out of the norm is what we love to work on. Unique, "cutting edge" designs are our passion. If you'd like to order a custom sign or cut out, give us a call at (715) 718-0781. 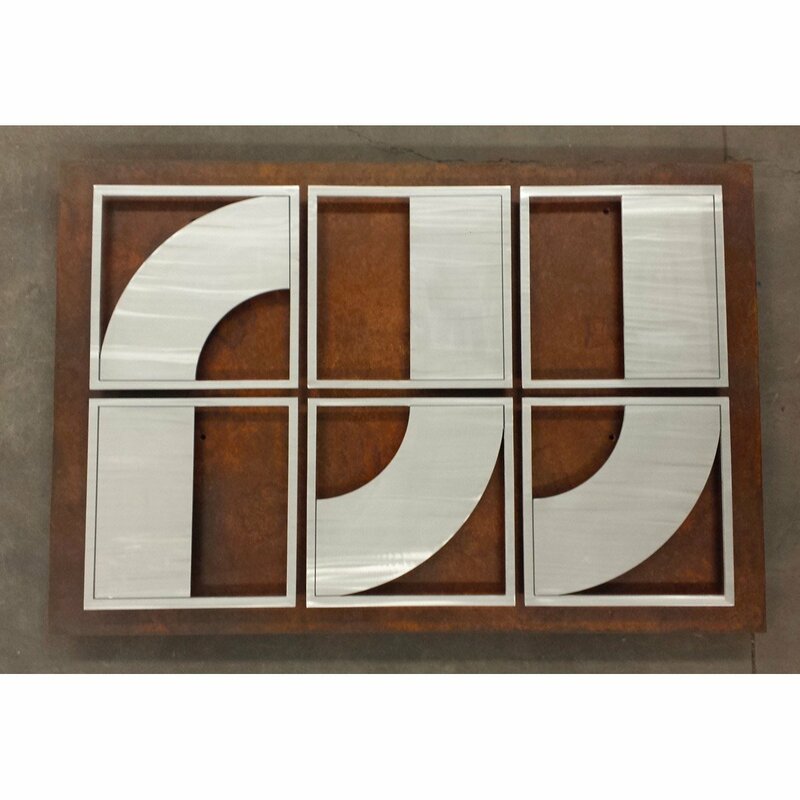 Here are a few signs that we cut out of steel and then put a finish on them. If you'd like to order a custom sign or cut out, give us a call at (715) 718-0781. Here are some custom drawn up and cut out "negative letter" signs. They are a classy yet industrial way to dress up your wall. 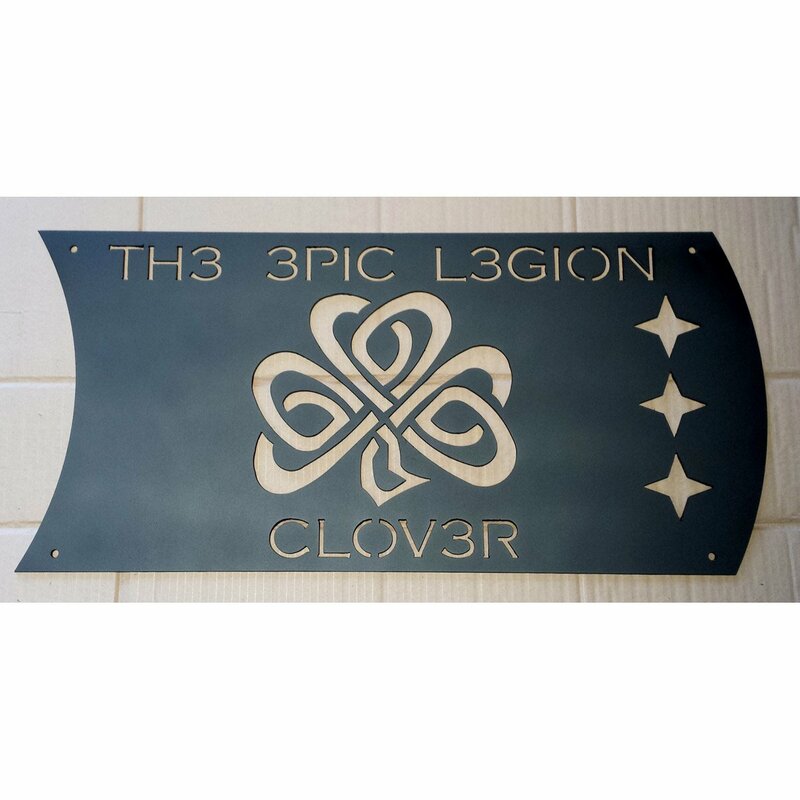 We can make virtually any sign, shape and size. Just give us a call at (715) 718-0781. 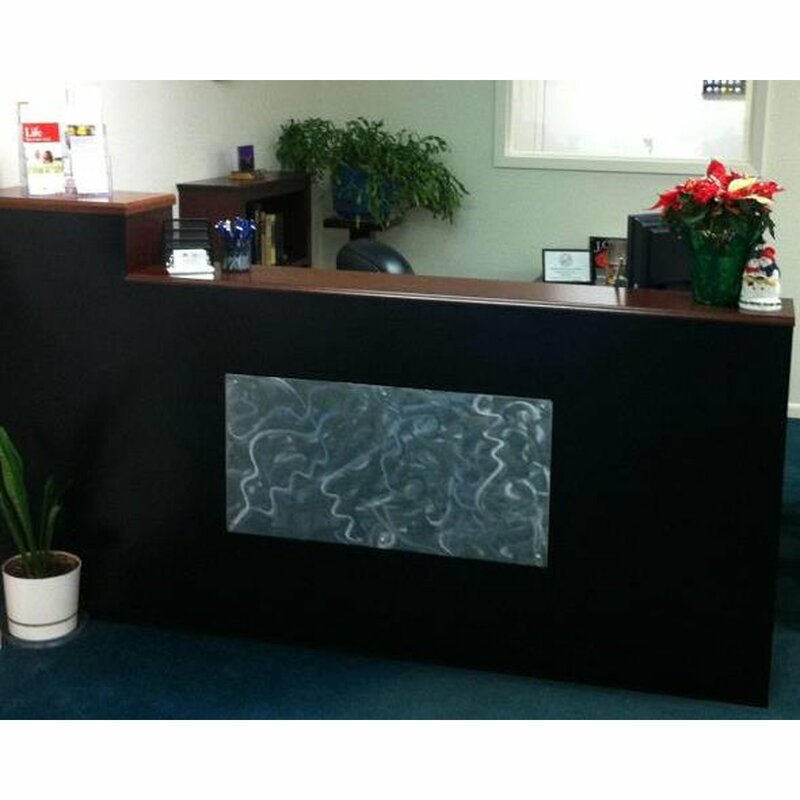 Here is a decorative wall panel for a customer who wants it placed on the front of a reception area in their office. 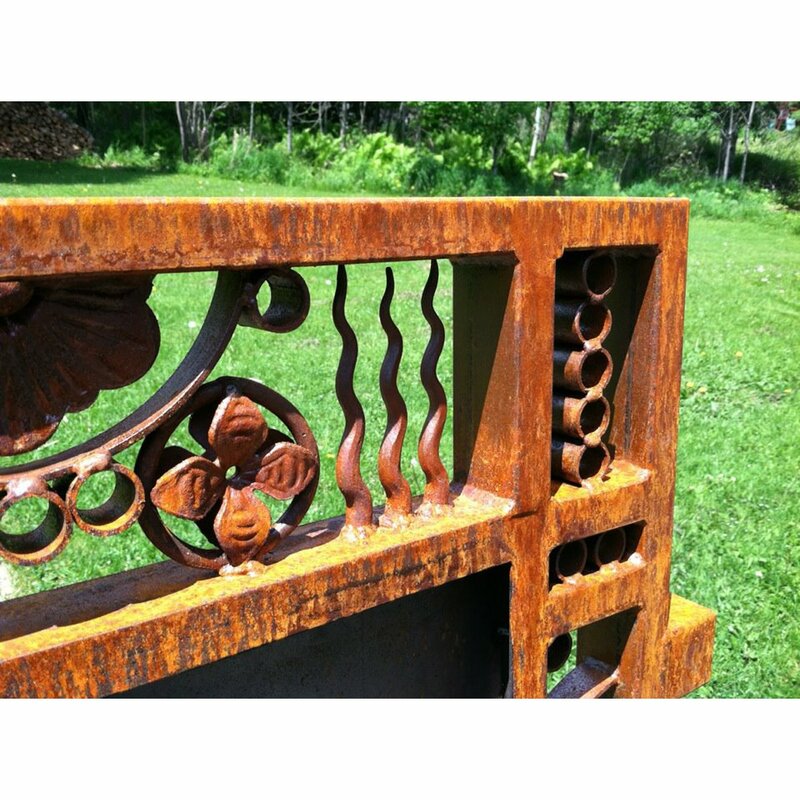 This particular piece is 3'W x 18"T 1/8" thick mild steel. We ground off all the mill scale and then put the design on it with the grinding wheel. It has 6 mounting holes. We also made spacers to put between it and the wall so that it stands out a bit. We then clear coated it. 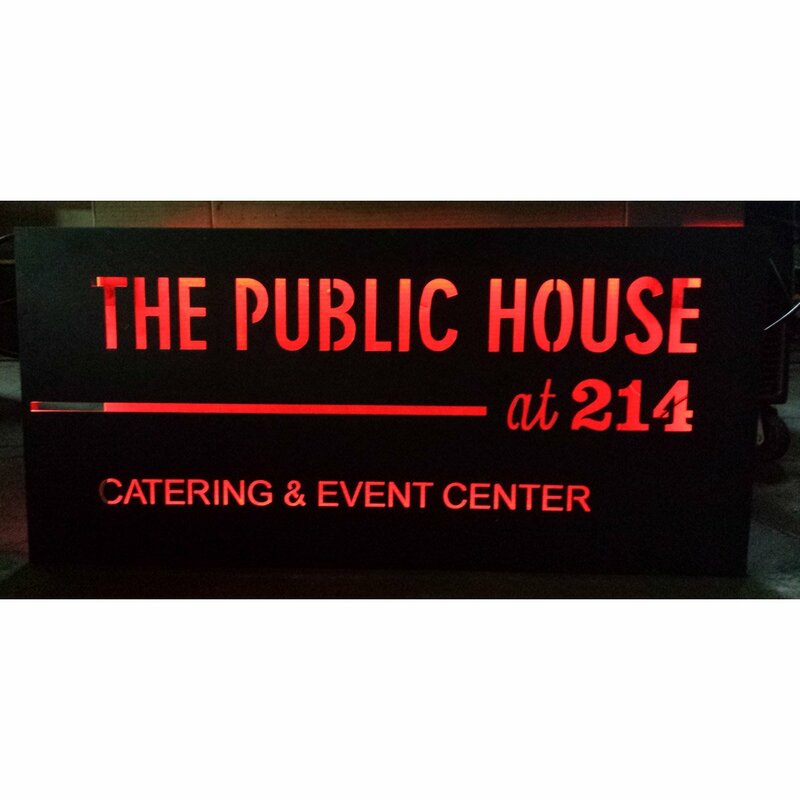 If you'd like to order a custom sign or cut out, give us a call at (715) 718-0781.